There is a corner on the 6200 block of South Fairfield that has seen its share of life and death. Five years ago, this corner was the stage of persistent violence and mayhem for residents and families attending Fairfield Elementary School. It was also home to a two-flat apartment that lay vandalized and abandoned — the scene of gang activity, drug trafficking, and a tragic sexual assault. Two years later, a neighborhood resident delivering pizza on the block was shot and killed on this very corner. Today, that abandoned drug-house is a beautifully renovated apartment building, home to two IMAN leaders and their families. Right now, the new IMAN Green ReEntry crew is doing construction on one of two more houses that are intended to become the first-time homes of those two leaders. After several years of organizing with our larger community to reclaim that corner, we’ve cut the ribbon on the Fairfield building and our block has become one of the area’s safest. It has taken many years and much pain, but this story of one corner on one block is the story of how hundreds of lives can be powerfully and profoundly impacted. 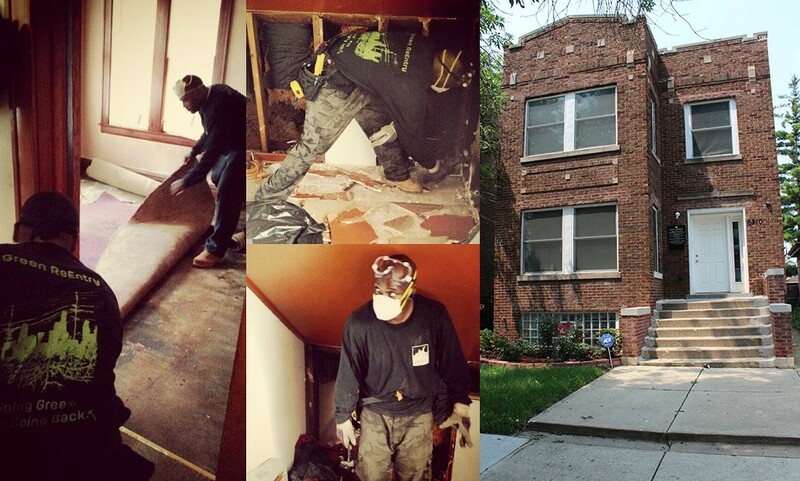 This transformation is possible, but it’s not easy work and we definitely can’t do it without your support! We ask you to please give generously to IMAN’s 2015 Ramadan Drive so we can continue to transform lives, one corner at a time. 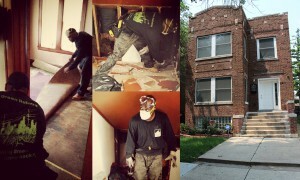 This entry was posted in Direct Services, One Chicago, Organizing & Advocacy by IMAN Staff. Bookmark the permalink.